These programs have been remastered from the original 1970’s era slide/tape presentations, created for and presented by the Original Wasco County Courthouse. Order them individually at $20 apiece, or buy the entire set for $80, a savings of $20. Proceeds from sales of these videos help support the preservation of the Original Courthouse. 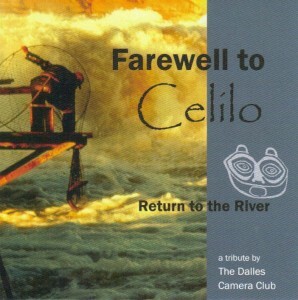 Farewell To Celilo – This is a lyrical look at the last season of fishing at Celilo Falls on the Columbia River. The video was created by The Dalles Camera Club and is one of the only existing pieces of video footage of Celilo Falls, which was innudated in 1957 by the backwaters created by The Dalles Dam. Time: approximately 20 minutes. Return to The River – A companion presentation, this 8 minute video is a tribute to the First People of the Columbia and the salmon that has been central to their lives. Produced by The Dalles Camera Club for the Original Wasco County Courthouse Preservation Corporation. Copyright 1957, 2011. All rights reserved. 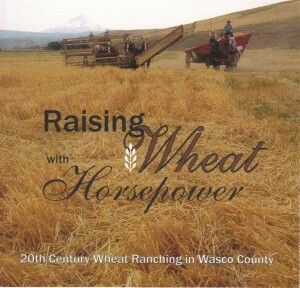 Drawing on the experience of long-time ranchers Elden Wagenblast and Evertt Metzentine, this program documents turn of the 20th century wheat ranching in Wasco County, using a combination of modern and historic photographs. Time: approximately 37 minutes. Produced by Paul Kuiper for the Original Wasco County Courthouse Preservation Corporation. Copyright 1979, 2011. All rights reserved. 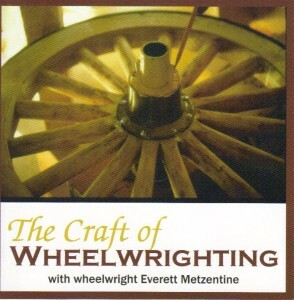 Local blacksmith and wheelwright Everett Metzentine demonstrates the continuation and preservation of the craft of wheelwrighting. Time: approximately 32 minutes. 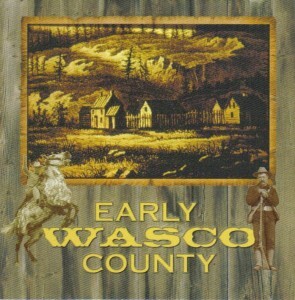 This is a history of Wasco County and The Dalles from the mid 19th century through the mid 20th century. Time: approximately 25 minutes. Produced by The Dalles Area Chamber of Commerce in conjunction with the Original Wasco County Courthouse Preservation Corporation. Copyright 1976. All rights reserved. 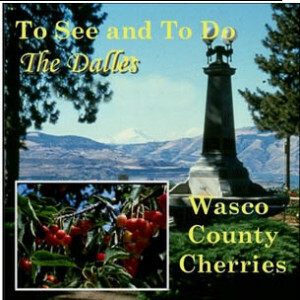 Wasco County Cherries – An 8 minute presentation on growing and harvesting cherries, and how this sumptuous fruit became a staple of Wasco County agriculture.